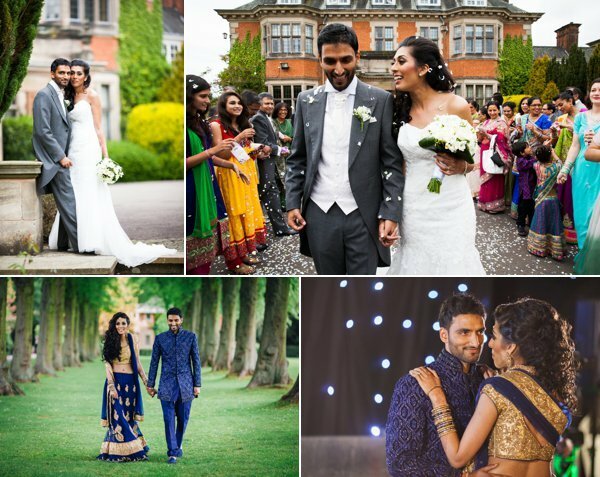 Sanj and Phoebe were married in a lovely civil ceremony at The Belfry Hotel & Golf Resort in Sutton Coldfield. Phoebe got ready at The Belfry assisted by her very proud Mum and bridesmaids. She wore a stunning white dress, beautifully embellished from the waist up, both front and back, while her bridesmaids wore vibrant coral dresses. Phoebe personalised her Miss KG wedding shoes from Kurt Geiger with blue diamanté “I Do” stickers on the soles! 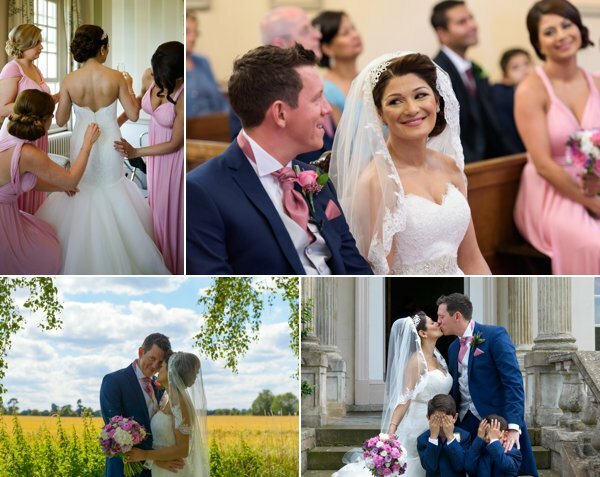 Once the couple shared their vows and said their “I Do’s” they headed to the grounds for a short photo session with family and friends, giving their guests a chance to congratulate the newly married couple on tying the knot. Once inside their reception hall guests were seated for the wedding breakfast and speeches. 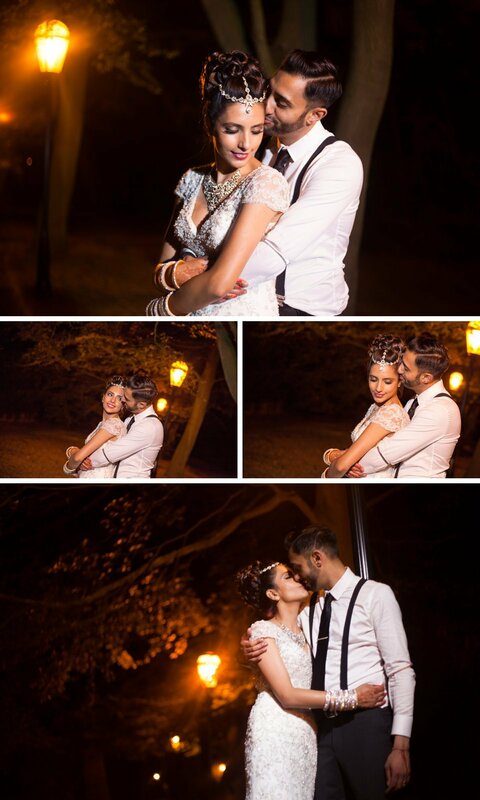 After speeches, we took Sanj and Phoebe around the grounds of The Belfry for their “Bride & Groom” photoshoot. The Belfry has a world famous golf course, a beautiful lake and attractive bridge that was the perfect setting for their photoshoot. Their transport was a golf buggy which made for some rather fun photo’s as can be seen below! Once the couple returned to the venue they cut their lovely gold and white wedding cake before heading onto the dance floor for their first dance as Mr and Mrs. The music was provided by Perfect Soundz DJ’s. Sanj and Phoebe slipped away during their evening party to change into their traditional Asian party outfits. Sanj wore a lovely white sherwani with magenta piping to match Phoebe’s stunning magenta Indian Lengha, embellished with lots of sparkly diamanté. Just beautiful!! We snuck the couple away again for a quick photoshoot in their new traditional outfits before they headed back onto the dance floor for their lively party! 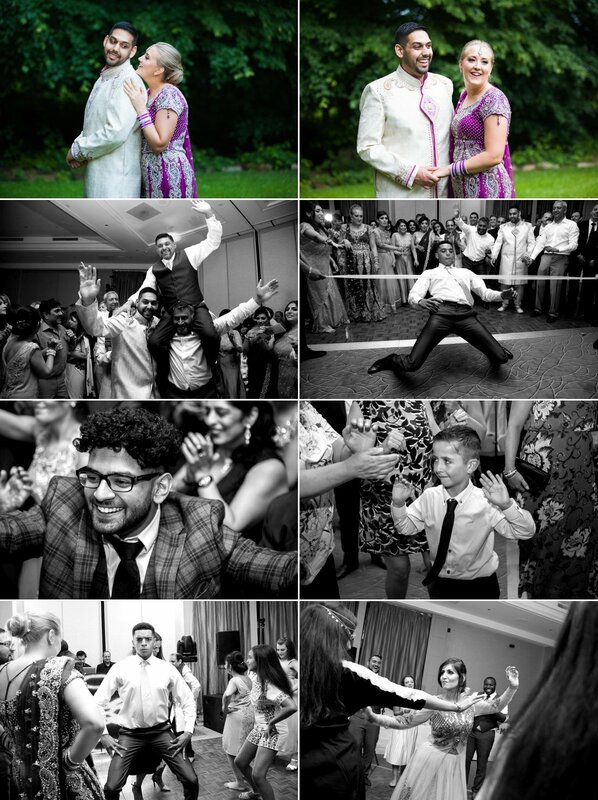 We had such a great time at Sanj and Phoebe’s wedding at one of our favourite venues!! 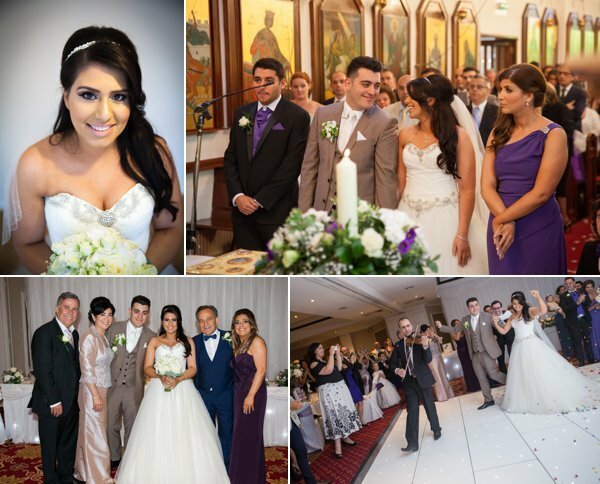 It was full of fun, laughter and love and we can’t thank the lovely newlyweds enough for choosing us to be part of their big day!